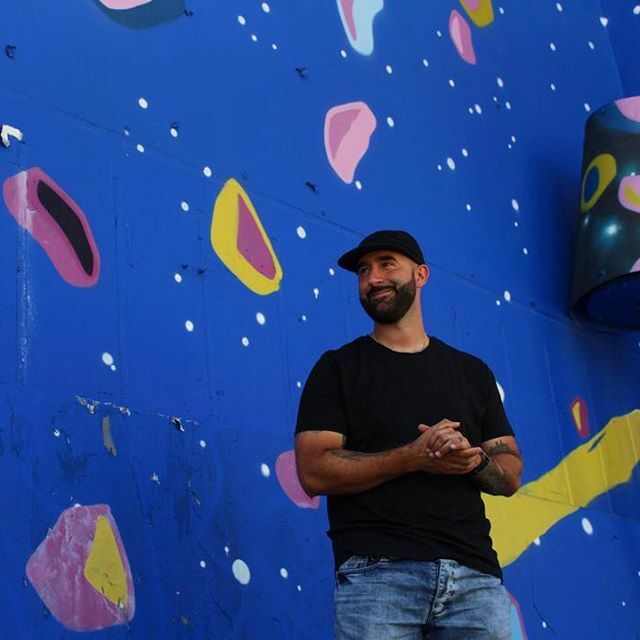 Abstrk is a Cuban American, born and raised in Miami Florida. His family came to the USA during the ‘60s during the Pedro Pan and Freedom Flights exiles from Cuba. Abstrk's work captures your eye and draws you into his pieces with movement and color. With a background in graffiti, Abstrk's work consists of forms pulled off of outlines and letter structure as well as traditional fine art. His work can be diverse in subject matter at the same time always relative to his style-isms and shapes. Abstrk's work can be found on canvas as well as walls throughout the United states and the Caribbean.